One of the main areas provided Ambassador ChemDrys’ specialist, expert & technologically advanced cleaning services is Aylesbury. 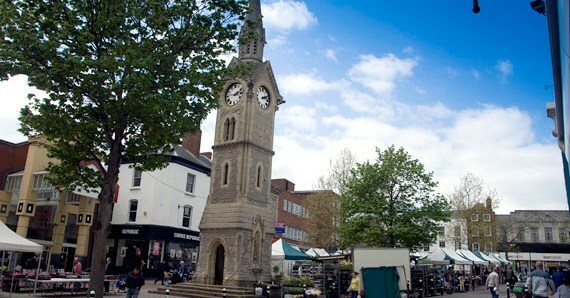 Listed below are 8 fascinating facts about the town & its storied history. The chair is an integral piece of furniture in a range of locales. It is necessary in commercial, private & public places, to allow peoples a place to sit. They are also important for establishing the visual aesthetic of a space. Listed below are interesting, engaging & revelatory facts about chairs. Dirty carpets are not only visually unappealing. They can also be detrimental to people’s health, holding in dirt & instigating, or aggravating, illnesses. Dirty carpets & upholstery attract numerous dust mites. The droppings of the mites contain the allergy-inflaming ‘Der p 1’ protein. This protein is known to trigger eczema, asthma & rhinitis. If you spread the fibres of your carpet apart, you will be able to see a landfill of soil & dirt that is typically not visible but grinds against your carpet each time it is walked upon. Without having this deeply ingrained dirt professionally cleaned, your carpet will be worn down considerably over time. Natural oily residues, from people, pets & household activities, becomes entrapped within carpeted surfaces. This residue serves to magnetise & lock-in dirt. A process called oxidisation then occurs, as the oils amalgamate with the dirt to discolour the carpets colouration. Worst of all, when a carpet becomes too dirty it can lead to its owners becoming ill. A carpet, when clean, serves as a filter, trapping bacteria, pollen & chemicals. However, when it becomes full with dirt, these chemicals will be breathed in by the property owners resulting in illness. It is then that the services of professional carpet cleaners are a must hire. The sofa is one of the most popular & important furnishings within a property. Typically situated in the living room, the sofa is used by most family members in a range of activities. These include social gatherings, watching television & eating dinner. Below are a number of fascinating facts about just what exactly occurs to a sofa in its typical lifetime (of around 8 years). Commercial cleaning practises are not only advised for businesses directly involved within the hygiene industries. Instead, professional public cleans are suggested hires for any companies with a workspace in which staff &/or customers operate. It is believed that these thorough, modern & convenient cleaning processes can inherently improve a number of aspects of business. An appealing, clean & attractive office, or other commercial workplace, will be unequivocally helpful in helping to set a positive first impression to any visiting customers or job candidates. It, simply, can be the difference between success & failure in any business venture. It is proven that one of the prime pieces of information retained by commercial guests are the conditions of the locale that they visit. Dirtiness carries with it connotations of laziness, illness & a lack of funds; all of which are counterproductive to good business. If a business is interfacing with customers & business partners on a regular basis, cleanliness is even more important to maintain; inconsistency can be as detrimental as a bad first impression. 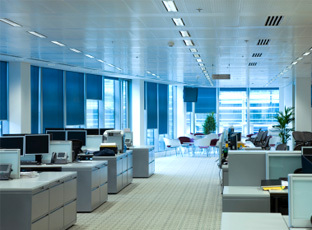 If a commercial workspace is too dirtied, it can also poise a health danger to employees &/or visitors, in a variety of fashions. Errantly placed objects, wet flooring & overflowing waste refusal units can lead to physical accidents & to potential illness. Any injuries that befall peoples whilst in a workspace can lead to numerous legal ramifications for the company in question, that can break the back of smaller businesses. Not only does the work itself & the pay rates affect employees’ moods, but the conditions of a working environment can make a considerable impact also. 8 hours mired in dirt, mess & clutter would prove negative to any person’s mood. A clean, organised & structured workplace will prove wholly positive to peoples & will improve their work rate. Aside from professional cleaning practises, simply opening a window & allowing a circulation of air will prove wholly beneficial to a workforce. The history, construction & designs of carpets can be surprisingly fascinating. The decorative platform has a lineage that dates back thousands of years & incorporates a range of cultures. Below are 10 fun, interesting & bizarre carpet facts. The earliest evidence of carpet cleaning practises dates back to the 1800s. Before this time, carpets were typically protected with druggets (heavy woollen goods spread over areas of heavy wear) but not provided effective, thorough cleans. The initial examples of effective carpet cleaning were a direct result of the industrial revolution, which possessed a direct affect on the cleanliness of properties in North American & European cities. This was due to a lack of ventilation, meaning houses were filled with soot & dust, at the same time at which houses were outfitted with carpets, as a means of showcasing affluence. The most common cleaning practise of the time was beating carpets with corn brooms to rid them of dust, sand & soot. This practise proved no help in removing stains. In the 1870s in Chicago, the first vacuum cleaner was invented by Ives W. McGaffey. Electrically powered it was compact & lightweight. However, it wasn’t entirely practical to operate, requiring a hand crank to power & was not available to the masses. 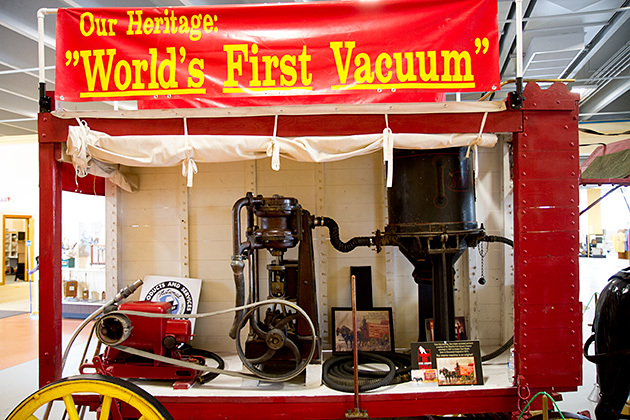 In the early 20th century, the first vacuum cleaners were constructed, patented & released that resembled the modern day equipment. They also operated using the same methods as contemporary cleaners. A number of new chemical & scientific discoveries were incorporated into house cleaning practises. It was this time that the basics of contemporary carpet cleaning were effectively established & which, with the advent of new technologies, have only been expanded & improved upon. The origins of the carpeted surface is clouded in mystery. However, is it typically agreed upon amongst historians that the original examples of woven floor coverings were in the Neolithic Age (7,000 BC). There are 2 theories as to how the carpet was invented, however. The 1st theory is that carpets were invented to keep nomadic troglodytes safe against cold weather & were both worn on the body & placed on the floor. As culture civilised, the carpet remained on the floor more than the body & designs were woven into them celebrating cultures, relevant designs, etc. The 2nd Theory is that carpets were always utilised as flooring by more civilised cultures, fulfilling artistic & practical purposes. They were perhaps initially utilised during festivals & the like, before becoming altogether more commonplace. Ambassador Fact; the oldest discovered carpet specimen dates to 5th century B.C & is designed with a myriad of relevant patterns, logos, etc. Evidence suggests that the decoration of carpets was a practise borne in the Middle East, with it being a commonplace activity there between 2 & 3 B.C. People took these carpets to new locations when they moved, ensuring that the decoration of carpets was an activity that was spread throughout the globe. All carpets woven before 1920, due to the style of construction, are considered to be antiques. These are traditionally designed with natural dyes & inspired by Oriental patterns. Carpets woven from 1920 to today are known as modern. These designs are typically seen as being inspired by Western aesthetics. What if everything is an illusion & nothing exists? In that case, I definitely overpaid for my carpet. Wool is a textile fibre taken from sheeps (& a few other animals) that are used in the designing of a number of products, including carpeting, clothing & upholstery. Wool is distinct from hair or other furs due to a number of its inherent properties. The crimp & scaling of the wool allows it to be spun together into a variety of items, as it better helps the fibres of the fabric to attach to one another. Wool fabrics possess a greater bulk than other textiles & also retain air & heat. In addition to its most noted uses, wool is also used for a variety of other purposes. It is utilised in the construction of horse rugs, saddle cloths & blankets. Despite the comfort, reputability & respectability of wool, it can be detrimental in that it can be difficult to clean. If cleaned by an amateur without an understanding of the material, further damage can be incurred to the surface, through discolouration, over zealous scrubbing, etc. Ambassador ChemDrys knowledgeable, talented & trained staff can safely & expertly clean wool & woollen surfaces. There are a variety of upholstery fabrics available, from which upholstered furniture is comprised. Upholstery materials possess different characteristics that ensure their suitability for incorporation into a space. Upholstery fabrics differ vastly in pattern, weight & texture. Much contemporary upholstery furniture is man-made (synthetic). Some of these synthetics are natural, whilst others are blended with other fibres to produce materials. Their construction may have been of a variety of styles, from a single fibre build to a combination of knitted, flocked or woven materials. Some of the basic upholstery fibres cleaned by Ambassador ChemDry are explored below. Their positives & negatives are detailed. Typically utilised in woven velvets & knits, acrylic is lightweight, soft & resistant to sunlight. Holds its shape well & is resistant to abrasions, chemicals & oils. Acrylic is quick drying & commonly used outdoors. A widely used fibre both in blends & alone. It is absorbent, strong & possesses an attractive colouring. Cotton is easier to clean than other upholstery materials but is vulnerable to heat & sunlight. A popular material for use with upholstery due to its resilience, durability & soil resistance. The fibre dyes well & is resistant to fading, but does not possess the softness of other upholstery. Strongest natural fibre, silk offers resilience, luxuriousness & an effective drapability. It can prove expensive however, is prone to water-spots & possesses only a slim resistance to abrasions. Comprised from sheep fleece, wool is resilient, drapes well & is durable. Wool can prove costly, as silk, but is popular in colder temperatures. Its surface tends to prove attractive to dirt particles.